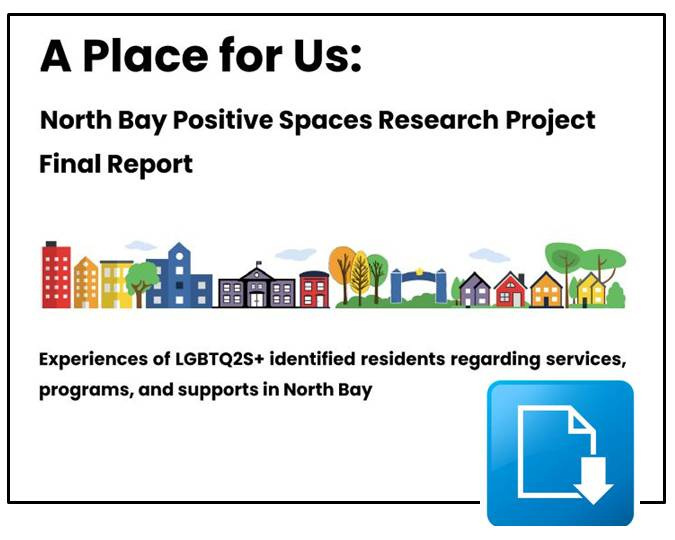 The North Bay Positive Spaces Research Project is excited to share with the community ‘A Place for Us’, the final report and recommendations of the North Bay Positive Spaces Research Project. To stay connected to the project sign up for our email list! You will receive updates about the focus groups and interviews, when we will be presenting the results of the research, and you will also receive a copy of the final report once completed.